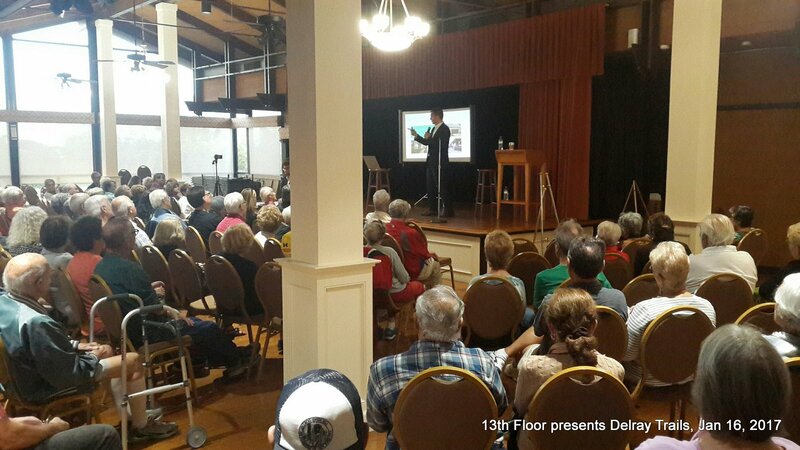 This week January 16-19, 13th Floor Homes presented its first proposal for the redevelopment of the golf course. All Palm Greens owners should attend one of the 8 meetings at the Clubhouse on Via Delray this week. 13th Floor is calling the new development, DELRAY TRAILS. Visit the website to see the full plan and send your comments to 13th Floor. Glenn Weiss of West Delray Updates recommends some modifications to the plans. Click Here to See the Recommendation. The Mizner Trail Golf Course clubhouse had been abandoned for more than a decade after the golf course owner closed the course and pursued efforts to rezone the property for housing development. Demolition started Tuesday June 13, 2017. The building was peppered with graffiti and had sustained damage from a fire in April 2016 that left a gaping hole in a portion of the roof. The Palm Beach County Code Enforcement had been in contact with the owners to take action on the building for quite some time in wake of residents’ and the Boca Del Mar Improvement Association’s complaints over safety hazards. Although not in the West Delray zone, the golf course closure is similar to others in our neighborhood. Go to the Palm Greens page to see the slide show. Click here to take a survey and provide suggestions to the Condo Boards.